Today Show from this morning. 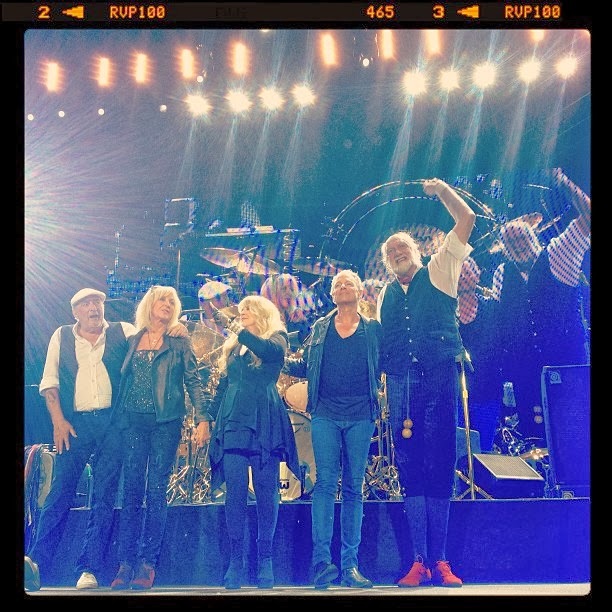 News bit on Fleetwood Mac reuniting. If FM records new music, I would love for Stevie to record the song 'Blue Water.' I think it's one of her best "unrecorded" (demo) songs ever. I think it has the emotional depth of Dreams and Silver Springs. Let's start a campaign for her to pull it out of the vault and record. You can find it on YouTube. I'm on board!! I found it last year and play it constantly. One of her all time best vocals with Sharon & Lori. I believed they did it in Hawaii around the time Bella Donna was being recorded. I found it about 4 years ago on YouTube. One particular version is stellar. Very clear almost like an outake or castaway. She could have a double album of pure # 1 hits just from all her unreleased finished cuts that didn't make the final albums.